You must hold a valid Driving License to legally drive a vehicle on Indian roads. But first, you need to get a Learner’s License when you are learning to drive. state Regional Transport Office (RTO). It acts as a provisional and restricted license. You must get a permanent Driving License once you’ve learnt how to drive a motor vehicle. To get a Learner’s License, one must be familiar with rules and regulations related to road safety. In India, Learner’s License is issued to the candidate after passing a written or online test about road rules. After you get a Learner’s License, you will be allowed to practice driving on public roads provided you are accompanied by a person who holds a permanent Driving License. You must obtain a Learner’s License for the relevant class of vehicle before you can get a Driving License. 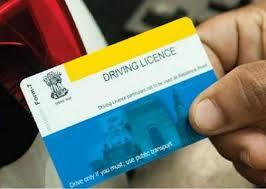 Driving License and Learner’s License in India are given based on the class of motor vehicle. The eligibility criteria changes depending upon the class of vehicle. Criteria: The candidate must be aged at least 18 years. Criteria: The candidate must be aged at least 16 years. For candidates less than 18 years of age, consent from guardian or parent must be obtained. Criteria: The Learner’s License applicant must be well versed with traffic rules & regulations. The applicant must have valid address proof and age proof documents. Criteria: The applicant must have finished 8th standard of schooling. The applicant must be at least 18 years old. In some states, the minimum age requirement is 20 years. Individuals who are looking to obtain a Learner’s Driving License in India are required to fulfil certain conditions. One of the key conditions is having a Learner’s License Form. The fees for a Learner’s License are Rs. 150 for a class of vehicle. The applicants will have to make the payment at the time of submitting the documents and application form. Having all the necessary documents in place will ensure a fast and hassle-free Learner’s License application process. A candidate applying for a Learner’s License must submit the following documents at the RTO while filing an application. Candidates planning to make an online application must keep a scanned copy of the following documents ready to upload. If you are resident of some other city, then you can submit the House Rent Agreement with a copy of a recent utility bill, like electricity bill or gas bill as current address proof. How to Apply for a Learning License Online in India? You can go for online applications for Learner’s License in India through RTO websites. Though the steps for filing a Learner’s License application vary from site to site, read the following general procedure of how to file a Learner’s License application online. Google the RTO website. Check if the website has the online Learner’s License application facility. If the state transport department offers the option of filling the online application form, then you will be asked to fill up information like name, father’s name, district, postal code, Aadhaar card number, and locality. Also, you will be required to upload documents like age proof and address proof before you submit the form. For Learner’s License applications, some state RTOs offer the feature where you can select the time slot for Learner’s License test. You will also be able to make a payment towards the Learner’s License application & test online. Be present at the Learner’s License test facility to take the Learner’s License test as per the slot that you have selected. How to Apply for a Learner’s License Offline in India? If you are not familiar with the process of filing an online application for Learner’s License then you can always go to your nearest RTO to apply. Read the steps given below to know how to fill the online form. Fill either Form 2 or Form 3, whichever is applicable. Keep passport photographs handy. These forms can be downloaded online or can be directly taken from the RTO office. Fill the application form completely and attach the photograph wherever applicable. Attach address proof and age proof documents along with it. Visit the RTO of your locality and submit the application form. Also, schedule a test by choosing a slot for Learner’s License. Be there at he given time and date for Learner’s License test. Once you pass the test, the Learner’s License will be sent to your permanent address. If you are learning driving under the guidance of a driving school, they should assist you in getting a Learner’s License. All Learner’s License applicants will be required to take either an online test or a written test that will check the applicant’s knowledge on road rules and safety signals. You will have to pass the test successfully to get your Learner’s License. Below are some of the important points regarding the Learner’s License test. You must be present half an hour before the allotted time. If you have applied Learner’s License test online, you will be required to submit the confirmation slip at the RTO and make the payment before you take the test. Generally, you will have to answer multiple choice questions either online or on paper. In case you don’t pass the test, you will be allowed to retake the test after a week’s time. Also, you can apply for a Driving License, 30 days after the issue date of Learner’s License. The application for permanent Driving License must be filed within 180 days of the issue date of Learner’s License. Why Do You Need a Learner’s License in India? Here are some reasons why you need a Learner’s License in India. You must get a Learner’s License specific to the class of vehicle. A Learner’s License legally allows you to learn driving with an experienced driver. You can practice driving with a person holding a permanent Driving License, only if you have a learner’s license. Before getting a Driving License, you must have a Learner’s License. Holding a Learner’s License and practicing on roads will help you get familiar with road rules which will in turn help you while you are driving.